As anti-fascists everywhere breathe a sigh of relief over Emmanuel Macron’s big victory in the French presidential election, many Americans will take away from today that the French made a different choice in the contest between a liberal centrist and right-wing populist. That’s true as far as it goes, of course. But that comparison might not be the most apt one. What if, instead of an alternative to what was in 2016 or a forecast of what could be in 2020 in the U.S., Macron is a French remake of 2008? As Emily Schultheis noted, Macron’s campaign tactics, from a 2016 listening tour to the recruitment of thousands of grassroots enthusiasts to a massive database, were new to France. A figure with an Establishment pedigree who runs as an outsider on a platform that mixes new touches and the oldest standards involved borrowing Barack Obama’s playbook — and Macron’s strategists will tell you so. But looking ahead to the challenges Macron faces in governing, the similarities to Obama reappear. First, the French public is profoundly alienated from government — and the urbanites that are so excited about Macron forget this at their peril. One in four French voters didn’t show up for the second round — and though that number sounds great to Americans, it is the lowest second-round turnout in France since 1969. That’s the year Charles de Gaulle left politics, as student protests, riots, and violence rocked France from one end to the other. The years that followed featured economic contraction, crippling strikes, and profound questioning and anxiety about France’s place in the world. Of the 75 percent that did vote, more than one in ten turned in a deliberately spoiled ballot — blank, or with another name written in. That’s the highest level ever recorded in France, and twice as high as the last presidential election. 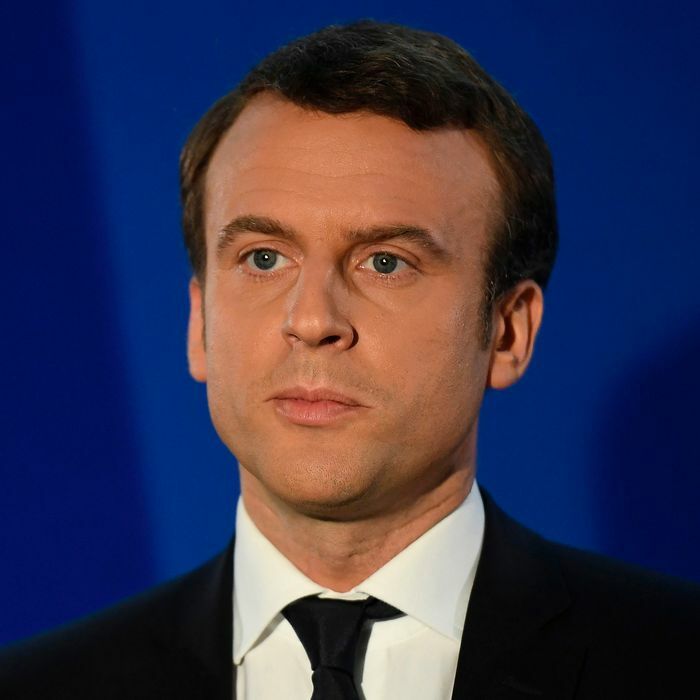 That leaves just two-thirds of French citizens who bothered to vote for one candidate or the other; the fact that two-thirds of them voted for Macron stills leaves him shy of majority approval among eligible voters, though he will surely do his best to claim a national mandate in the French legislative elections next month. Macron has pledged to run a candidate in every district in France next month. He says half will come from civil society, and half will be women. Six weeks is a very short time to build a complete electoral slate, leading to speculation that many sitting Socialist legislators will come over to his En Marche party. The Socialists currently hold a majority, and the first poll published predicted that Macron could possibly claim another big victory — or he could fall just short. This matters enormously for two reasons. First, France’s government is a hybrid of presidential and parliamentary. The president must appoint a premier of whom the legislature approves. So a president who lacks a parliamentary majority is presented with an ideological opponent as his key implementer. Second, Foreign Policy’s Emily Tamkin warns that French political parties have not been accustomed to compromise and coalition-building across ideological lines. Macron, who has never held elective office, will have to ride herd over — at best — a majority mixing longtime politicians who have been successful on their own terms, and new civic activists who have entered politics with entirely different motives, power bases, and expectations. In this respect, his situation may be more like Donald Trump’s than Obama’s. It may be a bit extreme to suggest that such a coalition will be as fraught, and as unproductive, as the coalition of mainstream GOP, Freedom Caucus, and Trumpistas that are currently ruling the roost in Washington. But the potential parallels ought to make Macron fans sober up fast Monday morning. Regardless, the National Front is not going away, and neither are the issues that fueled its rise. While Macron and his lieutenants must try to define and build their political party even as they set the agenda for governing France, Marine Le Pen’s party has its platform, its legislative candidates, its infrastructure … and a steady trend of rising votes at every level in France. At 10 percent, unemployment is twice as high as in Germany, the Netherlands, or the U.K. Seething racial resentments and terror networks nurtured in French prisons defy easy solutions. 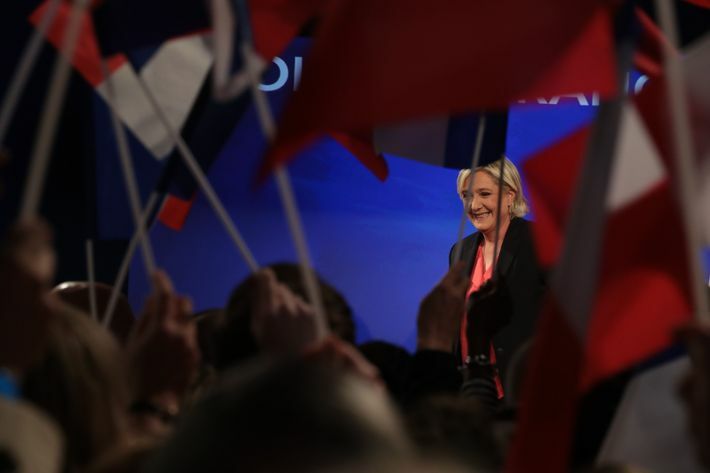 And Le Pen’s Gaullist nostalgia hit home in France’s smaller towns and cities, left behind as globalization spurred growth only in major centers. Americans wrote their French friends lots of open letters in recent weeks, imploring them not to “make the same mistakes we did.” Perhaps Americans ought to write one more, thinking of 2009: Don’t assume, because the candidate of wide smiles and new ideas has triumphed, that old fears and resentments — and older power structures — are gone for good. Heather Hurlburt (@natsecHeather) directs New America’s New Models of Policy Change initiative and has held foreign-policy positions in Congress, the White House, and State Department.